AMW Bulletin: HBC, Majolica Majorca Deal and Contest and Red Mango's Yuzu Lemon! "Because in our world, we're all beautiful!" Oh my goodness, screw that tagline! That was awful! But that made you smile I hope? HBC is celebrating Beauty Festival for the month of may! Aside from the usual discounted items and Beauty Bundles, they will also have a "Week-ender activities" which happens every Friday, Saturday and Sunday of May! Customers can avail FREE Facial service when they purchase Hortaleza, M.D. products! That's a wonderful news and it's a nice way to treat your loved ones too! Note: The Beauty Festival runs until May 31, 2012. Let's get on to the next beauty info! 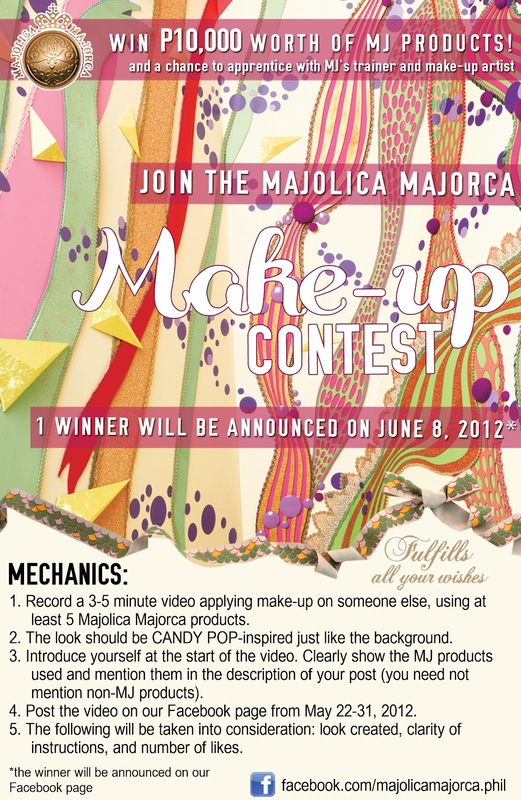 If you're a fan of Majolica Majorca, this is a wonderful news for you! 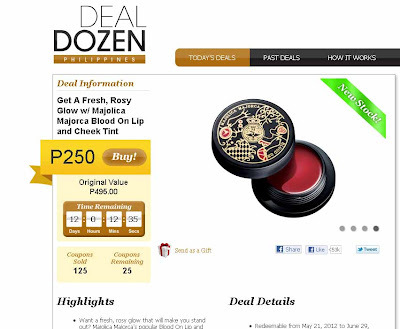 The Majolica Majorca Blood On Lip and Cheek Tint originally priced at Php495.00 will be sold for only Php250.00!!! You don't believe me? Well, head on to Deal Dozen now! Hurry! I believe this is only available for a short period of time! Click photo below to go to the site and don't forget to read their fine print! 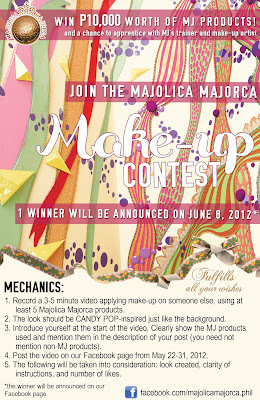 To those who are currently on a roll with their makeup application, it's high time to share your talent by joining The Majolica Majorca Make-up Contest! Click poster below to learn the mechanics! Oh, before I forget, I learned that my favorite Red Mango is serving a new summer flavor! The Red Mango Yuzu Lemon! I haven't tried it yet but I'll be trying it soon! Once I get a breather and visit a Red Mango branch anytime this week! Yuzu is a Japanese citrus fruit that tastes like a milder and more delicate version of the regular Meyer lemon. With the right amount of "sourness" from the regular Red Mango Yoghurt, I can totally imagine how refreshign it could get! Visit Red Mango and enjoy the ultimate fro-yo experience at Trinoma (Levels 1 and 3), Greenbelt 3, SM Megamall, Eastwood Mall, Regis Center Katipunan, Ayala Center Cebu and Robinson’s Place Manila. Also watch out for their latest store opening at the ground floor of Forbeswood Parklane Fort (along Rizal Drive near Burgos Circle). I'm going to bed after this!